Aspirants can click the link to refer the complete and sub-topics of the Allahabad Bank Specialist Officer Syllabus & Test Pattern. The exam consists of Multiple Choice Questions. Interested can also visit the Official site for the latest Allahabad Bank Multipurpose Assistant Syllabus. 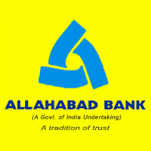 The candidates can check the below links for downloading the Allahabad Bank Previous Papers of all jobs recruitment tests that were previously conducted. Interested applicants can start the preparation for the Written Exam from now itself. Since these are Government Jobs, there is huge competition for these jobs.